The batteries are charged with a 12 V Lead Acid Battery charger. 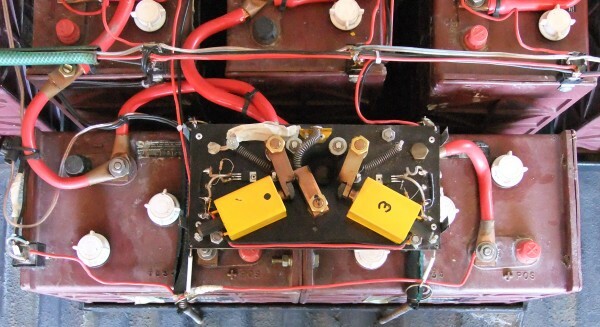 The 10 x 12V batteries are switched in parallel with normal 12V car relays (30A). When the controller is switched off, all batteries are bypassed and can therefore be switched in parallel with the relays. The charger is a 100A lead acid battery charger (10A per battery) available from wwwSinetec http://www.sinetech.co.za (Type PM-10012) The next photo shows some of the car relays mounted on the batteries. 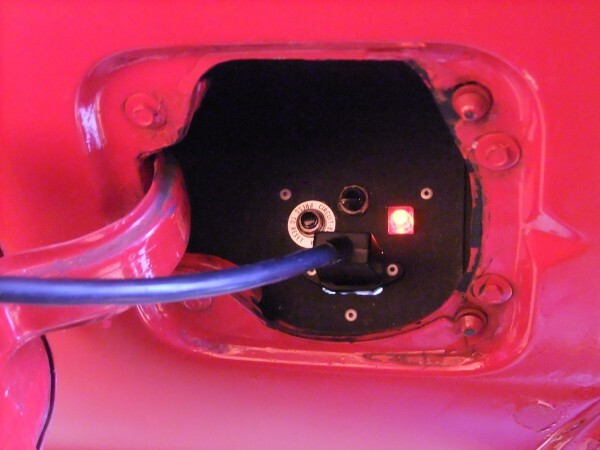 The power inlet (mains – 220V AC) is housed under the petrol cap lid.